DevOps company DeployHub has announced the release of DeployHub SaaS, which is a hosted solution for application release automation. According to the company, DeployHub SaaS focuses on helping software teams achieve full continuous deployments in legacy and serverless data centers. “Our goal is to allow all software development teams to deploy software like Facebook, Amazon and Netflix,” said Tracy Ragan, CEO of DeployHub Inc. 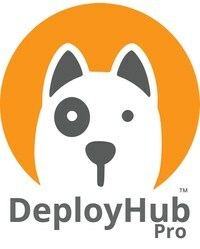 The solution includes DeployHub Team and DeployHub Pro. In addition, it integrates with CD orchestration engines such as Jenkins, Bamboo, and GitHub. Salesforce has announced new low-code tools on its Salesforce Lightning Platform. New tools include the Lightning Object Creator and Lightning Flow Builder. Lightning Object Create enables teams to turn spreadsheets into applications without using code. Lightning Flow Builder enables users to automate processes for customer or employee experiences. New Flow Actions can also add new layers to business processes, while admins will be able to leverage Einstein Next Best Actions to recommend flows. Microsoft has acquired AI company Lobe in an effort to make AI more accessible. According to Microsoft, Lobe makes deep learning “simple, understandable and accessible to everyone.” It has a simple UI that empowers users to develop deep learning and AI models without needing to write any code. “In many ways though, we’re only just beginning to tap into the full potential AI can provide. This in large part is because AI development and building deep learning models are slow and complex processes even for experienced data scientists and developers. To date, many people have been at a disadvantage when it comes to accessing AI, and we’re committed to changing that,” Kevin Scott, executive vice president and CTO of Microsoft, wrote in a post. GitHub Desktop 1.4 has been released. According to the company, GitHub Desktop will now offer information on whether or not you will encounter conflicts when merging. Merge conflicts tend to be a frustrating part of collaboration, so knowing if you will encounter a problem beforehand will be helpful, GitHub explained. The company also added that it will be introducing additional functionality in upcoming releases to help teams make more informed decisions when encountering a merge conflict.